A new multi purpose sports hall, complete with 4 badminton courts, basketball, 5 a side football, hockey and more. This is a welcome addition to the new facilities here at the sports centre. 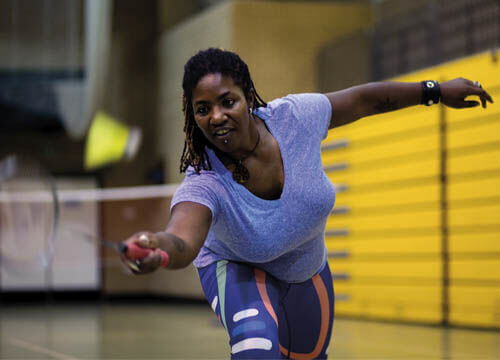 The sports hall is also used for a variety of other sessions and fitness classes and is also available for hire and would make a perfect venue for a child's birthday.